The regular season is over for my Blackhawks. Tonight the playoffs start. The Blackhawks did finish with the President's trophy, which means they will have home-ice advantage all the way through the Stanley Cup finals. The mighty Blackhawks will soon be opening up against the eighth seed evil Minnesota Wild. I can't wait. Go Blackhawks! It is a tradition that I have my world-famous Tommy Hawk APA available to drink while watching the Stanley Cup playoffs. This year, I have planned my batch almost perfectly. 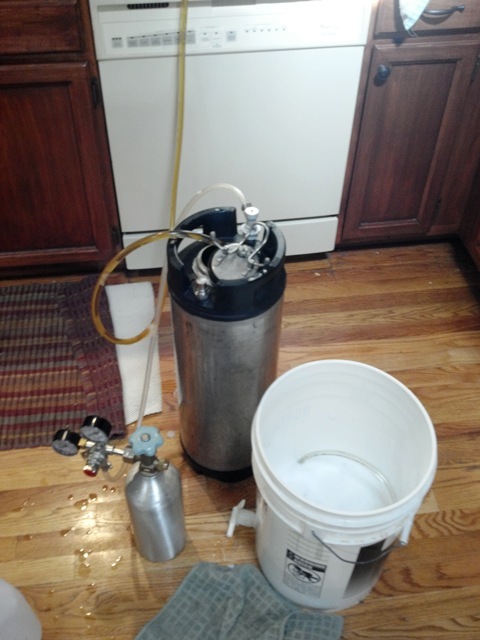 I kegged it up on Sunday, so I won't be able to drink any for the beginning of the first series, but it will soon be carbonated. 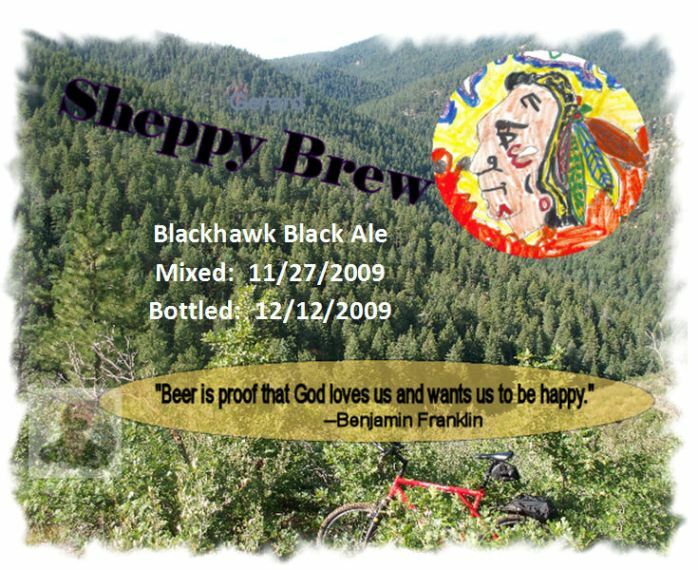 Luckily, I still have some Blackhawk Black Ale to get me through the beginning of the series. As an aside ... I know that this is going to sound out-of-character (and it makes me a little ill to admit this), but I am hoping that the evil Redwings win their first-round series so that the Hawks and Wings can battle it out one last time in the playoffs. Since the Wings are moving conferences next year, the two teams won't ever be able to meet again until the finals. At least this will be the case until the next realignment. To be honest, this makes me sad. This is one of (my opinion THE BEST) rivalry in sports, and it is now pretty much over. I guess the good news is now that Colorado and the Hawks will be in the same division, I will have more opportunity to see Chicago live. 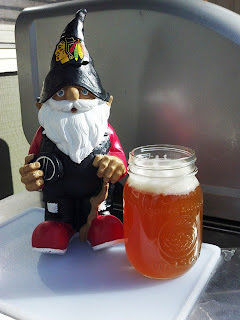 Anyway, though, I kegged up my world-famous Tommy Hawk APA Sunday. The beer is extremely clear with a golden color. Its citrus / pine aroma and flavor is wonderful. I measured the FG at 1.013, which makes this a 6.3 ABV beer, which is exactly where I wanted it. The sample was exactly what I like in IPA's. It is not overly bitter, but has lots of American hop flavor. 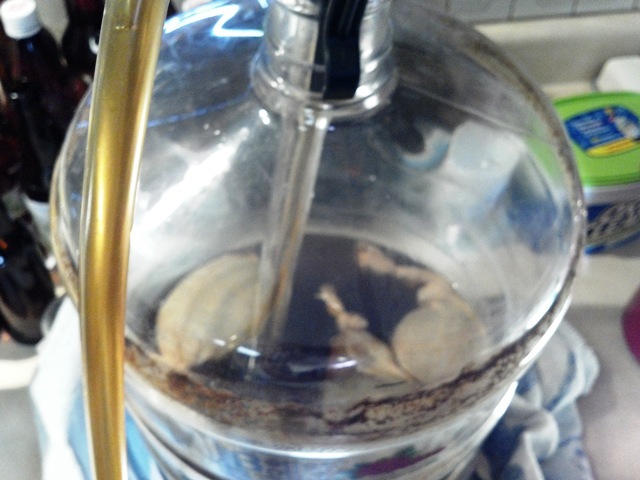 I cannot wait to drink this beer. 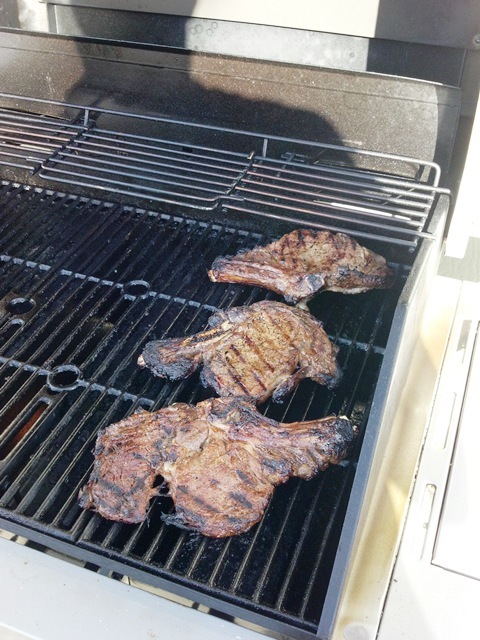 I also grilled steaks on Sunday. I got a 3-pack of Ribeyes last weekend. They were on sale at our local supermarket. My wife has a family recipe for marinading steaks. 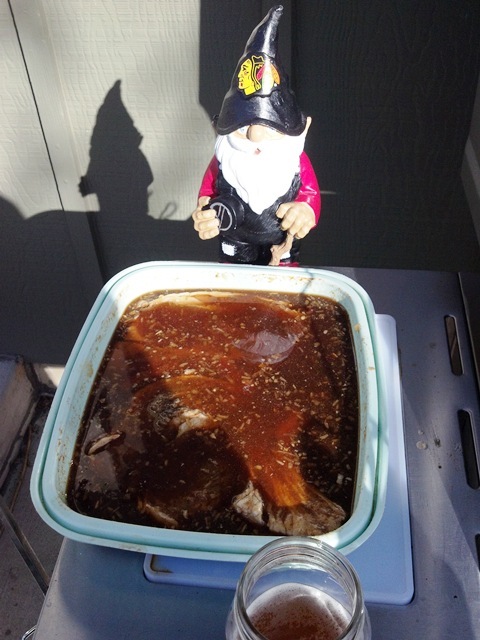 Sometimes she does the marinading, but Sunday I did it. I actually tracked down her recipe to use as a base, but made changes I thought were appropriate (see below). NOTE: I don't really measure any of these ingredients. I dump in what I think is the right amount. I don't know whose "mom" the recipe is titled for. It may be referring to my wife ... the mom of the house. Or it may be referring to my wife's mom or it may be referring to my wife's mom's mom. It doesn't really matter. 1 bottle of SheppyBrew's Poison Pumpkin Witbier. Oregano, Basil, other miscellaneous spices. The key to grilling juicy steaks is to sear them for a short amount of time and then cook on lower heat for the rest of the time. I overdid the searing portion on one of the steaks, but overall they turned out great. And the rest of the neighborhood was jealous about the smell. My wife also cooked some corn-on-the-cob, and we ate outside. Such a wonderful spring-time meal. It is supposed to snow again Wednesday. I love Colorado Weather. Mmm...ribeye. We do a pepper rub on ours and serve them with grilled, sliced portobellos in a rosemary/red wine sauce. So yummy. I like outdoor activity too, it is very interesting. Its a great recipe. I will give a try today.thanks for sharing!!! Thanks for this recipe. 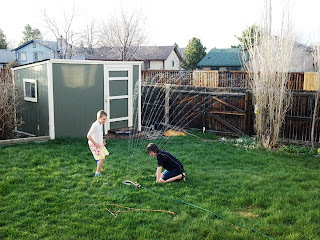 It seems great to me and this is why I'll try it for my kids next weekend. Thanks for the comment. Let me know how it works out for you. 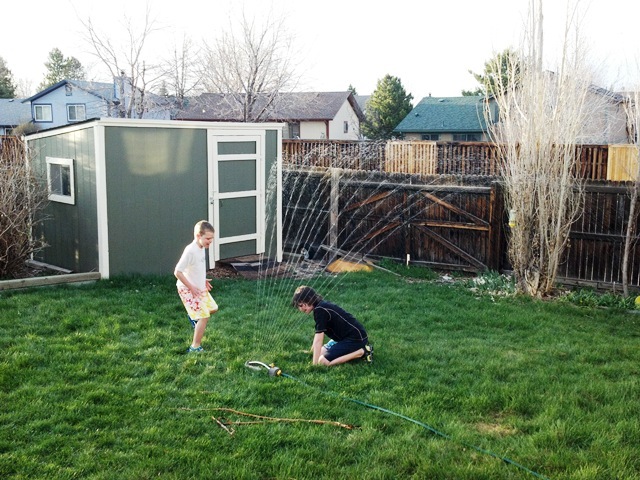 We love outdoor activity. I want to try this grilling juicy steaks. I'll take care to use lower heat. i always appreciate outdoor activity with my kids.Last week me and my family went to Florida .We had great outdoor fun. Morning! I loved this recipe, thanks for sharing! your recipe makes my mouth watering. I should try it ASAP. Thanks.